The preppy styling of the Shellys London Boston will put some pep in your step! Patent leather upper with tonal stitching. Lace up closure with hidden eyelets. Smooth leather lining. Slightly cushioned leather insole. Stacked square heel. Synthetic outsole. Imported. Measurements: Heel Height: 3 4 in Weight: 10 oz Platform Height: 1 4 in Product measurements were taken using size 36 (US Women~s 6), width M. Please note that measurements may vary by size. Weight of footwear is based on a single item, not a pair. Please note: The brand recommends sizing up as this style runs small. 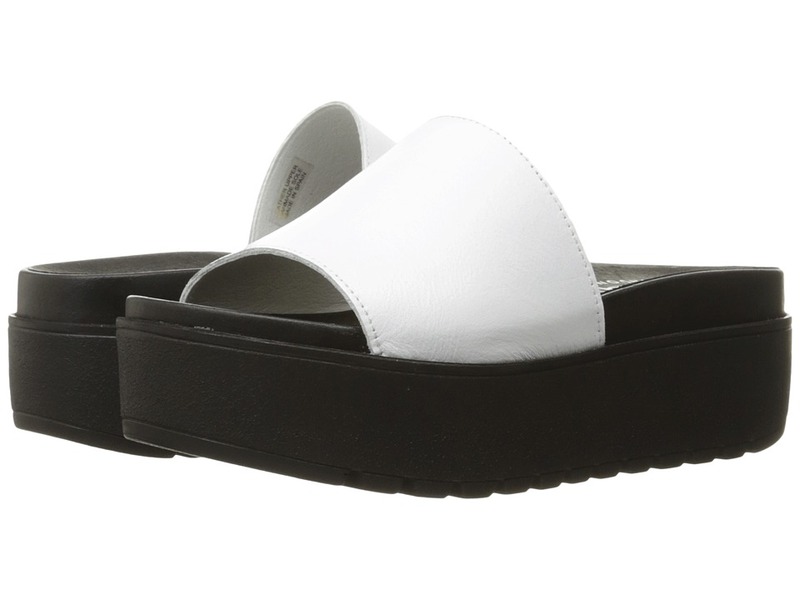 Elevate your poolside appeal this season with the Shellys London Kora sandal! Leather, polyurethane or fabric upper. Note: Upper material is listed in the color name. Slide-on design. Open toe. Leather lining. Contoured footbed. EVA platform. Synthetic outsole. Made in Spain. Measurements: Heel Height: 2 in Weight: 11.4 oz Platform Height: 1 3 4 in Product measurements were taken using size 36 (US Women~s 6), width M. Please note that measurements may vary by size. Weight of footwear is based on a single item, not a pair. 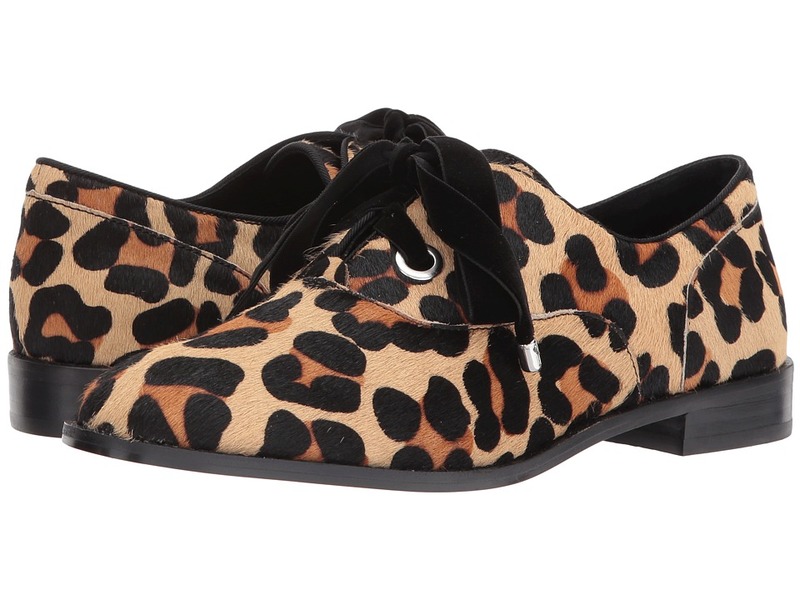 The Shellys London Frankie oxford lends a feminine aesthetic to a timeless design. Available in a variety of uppers. Lace-up design. Round toe. Leather lining. Lightly padded footbed. Stacked heel. Synthetic outsole. Imported. Measurements: Heel Height: 3 4 in Weight: 10 oz Platform Height: 1 4 in Product measurements were taken using size 39 (US Women~s 8.5), width M. Please note that measurements may vary by size. Weight of footwear is based on a single item, not a pair. The Shellys London Tommy platform oxford offers a vintage-inspired silhouette with contemporary appeal. Synthetic upper features a glossy finish. Lace-up construction. Almond toe. Wingtip design. Contrast stitched detailing throughout. Synthetic lining. Lightly padded footbed. Covered platform. Synthetic tread outsole. Made in Spain. Measurements: Heel Height: 1 3 4 in Weight: 9 oz Platform Height: 1 1 4 in Product measurements were taken using size 36 (US Women~s 6), width M. Please note that measurements may vary by size. Weight of footwear is based on a single item, not a pair. 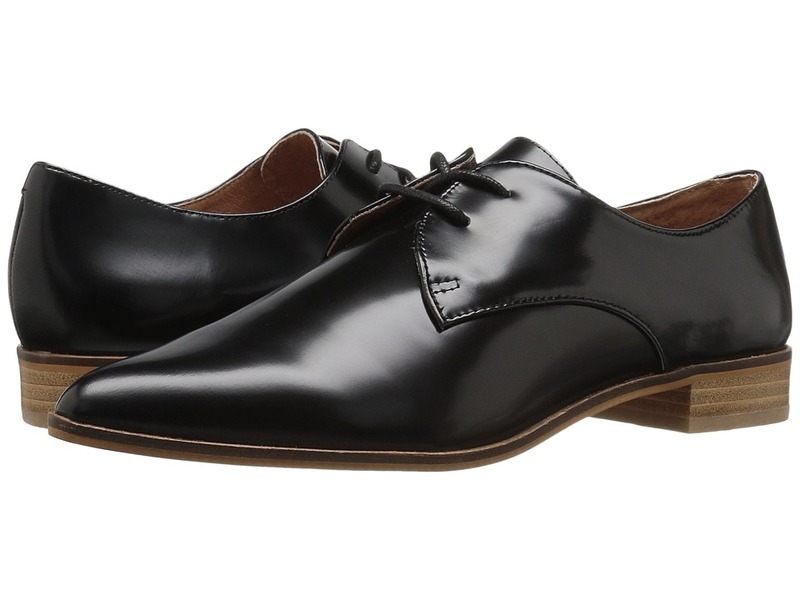 The Shellys London Gladys loafer lends a contemporary silhouette to a versatile construction. Smooth or textured synthetic upper material. Slip-on design. Almond-toe silhouette. V-cut detailing over vamp. Leather lining. Lightly padded, non-removable insole. Low, stacked heel. Synthetic outsole. Imported. Measurements: Heel Height: 3 4 in Weight: 9 oz Product measurements were taken using size 39 (US Women~s 8.5), width M. Please note that measurements may vary by size. Weight of footwear is based on a single item, not a pair. 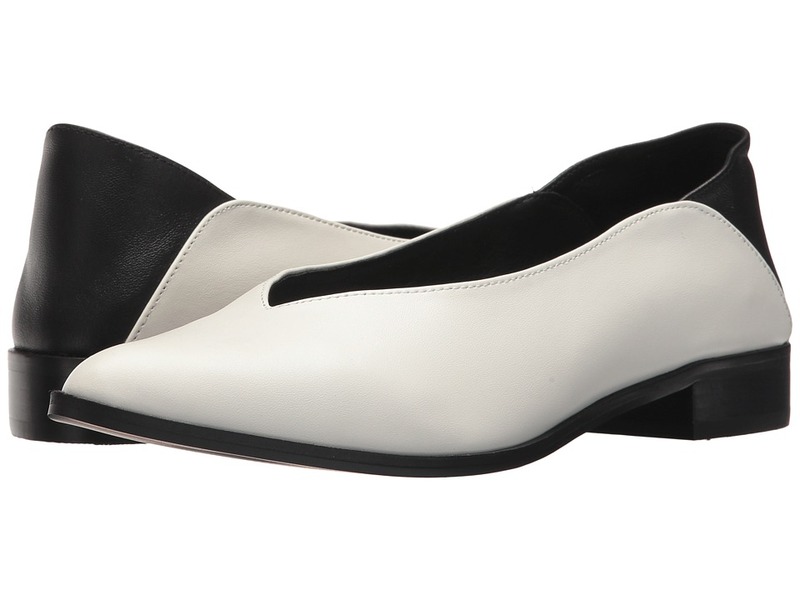 Get back-to-basics when you accentuate your look with the retro-chic Shellys London Gracie pump! Supple, suede leather upper material. 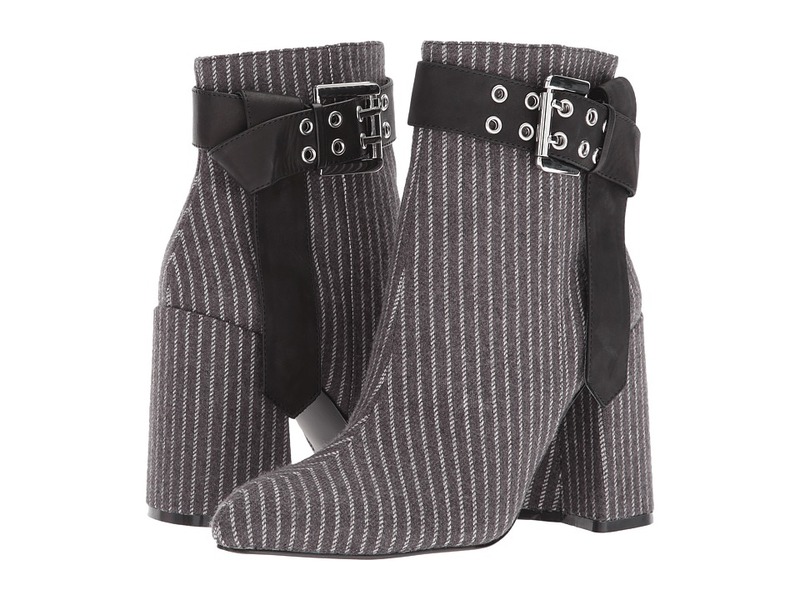 Mary-jane strap over vamp with adjustable buckle closure. Soft, pointed toe. Leather lining. Lightly padded, non-removable insole. Wrapped, architectural block heel. Synthetic outsole. Imported. Measurements: Heel Height: 3 1 2 in Weight: 12 oz Product measurements were taken using size 39 (US Women~s 8.5), width M. Please note that measurements may vary by size. Weight of footwear is based on a single item, not a pair. Elevate your fiercely-chic look with the Shellys London Gillian d~Orsay pump! Combination leather and suede upper materials. Full, back-zip closure. Square toe. D~Orsay silhouette. Decorative side buckle with knotted strap detail. Leather lining. Lightly padded, non-removable insole. Wrapped, architectural block heel. Synthetic outsole. Imported. Measurements: Heel Height: 3 3 4 in Weight: 13 oz Product measurements were taken using size 39 (US Women~s 8.5), width M. Please note that measurements may vary by size. Weight of footwear is based on a single item, not a pair. Allure your admirers with your flawless look in the Shellys London Gabi bootie! Supple suede upper material. Full, side-zip closure. Split, pointed toe. Decorative buckled strap at side. Man-made lining. Lightly padded, non-removable insole. Wrapped block heel. Man-made outsole. Imported. Measurements: Heel Height: 3 1 2 in Weight: 15 oz Circumference: 10 in Shaft: 6 3 4 in Product measurements were taken using size 39 (US Women~s 8.5), width M. Please note that measurements may vary by size. Weight of footwear is based on a single item, not a pair. Garner attention when you hit the dance floor with the retro-chic Shellys London Gale sandal! Sequin or glitter-encrusted textile upper material. Ankle strap with adjustable buckle closure. Open-toe silhouette. Single strap over vamp. Leather lining. Lightly padded, non-removable insole. Covered block heel. Synthetic outsole. Imported. Measurements: Heel Height: 3 1 4 in Weight: 11 oz Product measurements were taken using size 39 (US Women~s 8.5), width M. Please note that measurements may vary by size. Weight of footwear is based on a single item, not a pair.